Having heard the story of Frankenstein and his monster many, many times, I thought I knew exactly what to expect from Mary Shelley’s novel. I imagined it to be gruesome and frightening. I assumed I would have nightmares and would only be able to read the book during the day, when all was still light. What I was not expecting was for such a tragic, heartbreaking tale. Everyone knows Frankenstein’s story, of how he created a monster and through years of study, found a way to bring life to the being. As the nameless monster opens his luminous eyes, Frankenstein suddenly realises the horror of what he has done and flees. The newly alive creature, alone and uncertain struggles through a hard and unloved life. People run from him, he can’t even stand the sight of himself and with a rush of emotion and self pity, he curses his maker and vows to hunt him down and make his life unbearable. Throughout the book, it is difficult to know who to feel more sorry for; Frankenstein or the monster he has created. On the one hand, the scientist is selfish and unfair, not taking responsibility for the consequences of his actions. But when terrible things start happening to his loved ones, it is only human instinct to fight back. And then there is the monster to pity. He is ugly, with yellow flesh and a large, unhumanly strong body, he cannot be loved by anyone. Being completely alone in the world, he has to learn about life, language and survival all on his own. But when his anger and emotions run high, he is uncontrollable and unstoppable, laughing cruelly at human weakness and taking pleasure out of his creator’s misery. 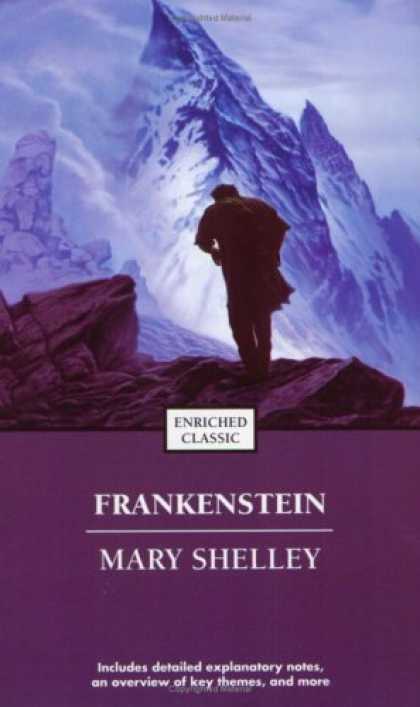 Mary Shelley has complete control, sometimes evoking sympathy and at others frightening the reader with descriptions of desolate landscapes and a monster that is never far away. She weaves the story using a rich vocabulary, conjuring emotion for both Frankenstein and the grotesque creature he has created. The unhappy characters use their own words to tell the tale filled with tragedy, revenge and despair. I enjoyed the book, however, was slightly disappointed that the awakening of Frankenstein’s creature was not described in more detail. Mary Shelley has more than made up for this though with an in-depth description of the character’s mind and mentality. I’m glad that I have finally read this famous tale. At last, I can have my own opinion of the story and form my own vision of the monster. If you haven’t read Frankenstein yet, click the picture below to buy it. I love this novel. It is so tragic. I found myself feeling for Victory and then switching to the monster and then back and forth. She does a fantastic job of creating characters that most people wouldn’t like, Victor and his amibition and arrogance and then the monster, well who is a monster. But I ended up liking both of them. I know, isn’t she an incredible writer? I can’t believe she was only 19 when she wrote it.